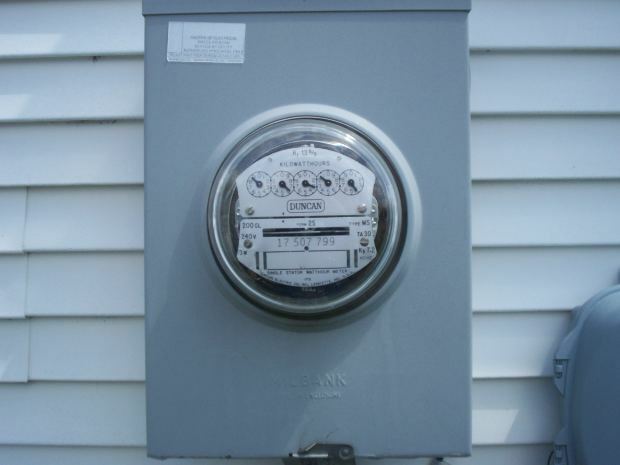 A couple of years ago, DTE Energy, who provides our electricity and is the main carrier for the metro Detroit reason, began replacing regular electric meters with new smart meters. Our community was one of those that was to receive the new meters. The first difference is that the new meters are digital. This made them easy to read, which was nice as compared to the old ones that had multiple dials. 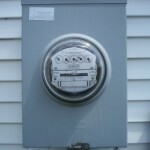 The biggest benefit to the electric company is that the new meters could be ‘read’ via an electronic signal. No longer would they need meter readers, nor would customers have to deal with estimated readings if the meter couldn’t be read, as the meters would transmit usage remotely. They are also supposedly able to notify the company of outages, as they can identify meters which are no longer responding. This additional broadcasting has been a major cause for concern as many people think that the signals are dangerous. I guess I’m not as concerned as many here since cell phones, wireless router signals, and everything else seem to already be inundating the ‘spectrum’, so to speak, so is the electric meter really cause for that much worry? One of the biggest selling points that we were provided in the announcement was the abilities we would have as customers to track our usage. We were told that we could track our usage in real time through the internet, via accessing our account, or that we would even be able to use compatible devices within our home (typically a thermostat) which would have the ability to interact with the meter and provide usage details. You could look at your device and note the power usage at any moment, and see what the effect is each time an appliance or light is turned on or off, or every time the A/C kicked in. I immediately equated it with having a Kill-A-Watt meter virtually attached to any electrical device. Which seemed pretty cool to me. So, I was pretty excited when they came to install the new meter. I’m pretty sure I even went on online later that day to see if the new availability through my account access was available. I figured maybe it would take until the next billing cycle to show up, and checked after that to see if it was there. A few more billing cycles and it still wasn’t. After a few months, I e-mailed DTE and asked them if I was missing something or if I had to enable something, basically checking to see if and when these features would be available. They answered me that they were not currently available, they expected them to be available in the future, but they didn’t have a date that they could provide me. It’s been over a year and a half now since we’ve had our meters. I will say that they have improved the information available online….slightly. They break down usage by category, for things like appliances or cooling and such. Which, I’m not exactly sure how they would come up with that, though I’m thinking that it’s either a wild guess, or if it is based on some actual information, is probably based on some algorithms that if the power usage changes by x amount, it’s likely the air conditioner, by y amount, it’s the refrigerator, etc. Either way, it’s pretty disappointing to see the lack of progress in terms of enabling the features that were promised to residents, who were not given a choice on whether to participate in this program. So, tell me DTE, when will these smart meters start showing signs of intelligence, because so far they’re getting barely a passing grade, so far as I can tell? Readers, has your company switched you or announced plans to smart meter technology? Have any of you been able to utilize the advanced data that they can supposedly provide?